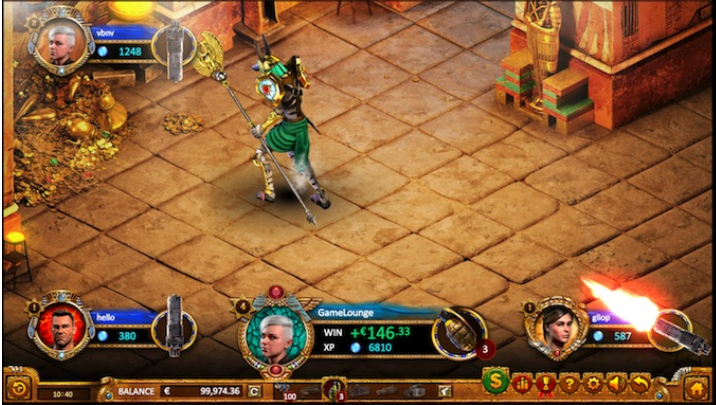 Max Quest Wrath of Ra, is unlike any game we’ve ever played before. It transplants the excitement of RNG-based slot gaming into an interactive shooting experience. 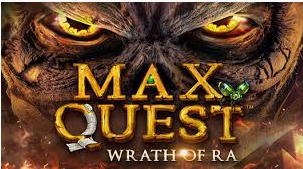 Max Quest Wrath of Ra, a second-person casino shooter game created by BetSoft. We have this as regular featured supported game on webpartners brands: MyBookie.ag, Xbet.ag, BigSpinCasino.com and MYBCasino.ag. There are no slots nor cards, just you, your gun, and the mummies and bugs you’re trying to kill. To further on how unqiue the experience is, you can play on your own or with up to 6 multi-players at the same time. You select which room you’d like to play in before the game starts, the rooms are ordered by the cost of bullets. Every bullet fired towards the shambling hordes of mummies has a chance to pay out or trigger a feature, and while Ra’s gauntlet will test players’ nerve, it never tests their aim. Each shot you take with your normal weapon is a bet. Five shots means five bets. Every shot will hit a target, even if it wasn’t your originally desired target. Shots are taken by clicking your mouse; holding down the mouse will fire a continuous stream of bullets. Whenever you hit an enemy, there is a random chance that they will die and drop one of their prizes. The prize that they drop is determined randomly. A missed shot will either ricochet until it finds a target, or return to the chamber along with its wager. You can purchase special weapons to help destroy the enemies quicker and in greater numbers. There are three special weapons chests that you can choose from, the more expensive the chest the greater chance at receiving additional ammunition. The special weapon you are awarded is selected randomly. I suggest buying the special weapons. The risk may be a bit higher, but the reward is certainly higher. At the end of each round, a God will rise from the ashes. These Gods are much harder to destroy, but their prizes are more worthwhile. Since this game is so unique, I think everybody who indulges in the casino should try Max Quest. It’s yet to be seen whether this game can be profitable or not, but that’s for each individual player to test. Head over to MyBookie.ag, Xbet.ag, BigSpinCasino.com and or MYBCasino.ag to to give it a shot!